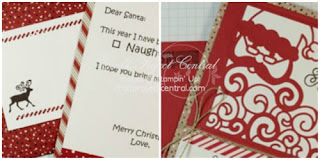 Just Julie B's Stampin' Space: Ho! Ho! Ho! Santa Greetings! This super sweet project was made by Sue Plote and you can get her tutorial when you subscribe to the month of November over at Craft Project Central.